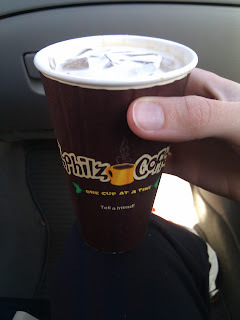 Philz coffee is so good that even though I get free coffee at work, I still treat myself to Philz roughly once per week (there's one in midtown Palo Alto). I have tried several things - including the iced mint mojito coffee (iced coffee with mint - see photo below). So what are my favorites? If I want caffeine, it's philtered soul. However I gave up caffeine (for the most part) before the wedding so now it is usually the house decaf blend. I almost always get a small coffee with cream and medium sweet. Heaven. I know where I'll be this weekend! Have a great weekend!